Joomla:How to move your site to a different server? Most of you may have created your Joomla site in the localhost and you may be thinking of the way to move it to a live server on the web. This also applies when you want to move the site from a one live server to another one. The first thing you need to do is to upload the files to the new server. If your new web host give you a cPanel this is damn easy. (Free web hosts like x10hosting give you a cPanel for controlling your hosting account). If you have the ability of extracting a compressed file in the server you can transfer your files very easy. Note! Only *.zip, *.Gz, *.Bz2, or *.tar file types can be extracted in cPanel. You can use either FTP or the online file manager of your hosting control panel to upload the files. When uploading files be careful to upload either to www folder or to a folder like public_html. However if the new domain is mapped with a folder inside the public_html folder you need to upload the files there. Eg: Main domain of my hosting account is sanjaya.me. So if i need to setup a site for sanjaya.me I would upload the files to public_html directly. If I have created a sub domain jom.sanjaya.me which is mapped with the public_html/jom folder I must upload the files to that jom folder. To upload the files via FTP you can use an FTP client like FileZilla. Here you can fill the ftp Host, ftp username and ftp password and connect to the server. You can enter into the correct server folder in the right side and drag and drop the files to it from the left panel which shows the files in your pc. Else you can use the online file manager. Below you see the file manager of cPanel. Here you see an Upload button where you can upload the files one by one. (nearly impossible to upload thousands of files one by one, but you can upload a compressed file using this way as well as using ftp). After uploading a compressed file you can extract the file by checking the checkbox for the compressed file and clicking on the extract button. OK somehow you have now uploaded the files successfully. Then what you have to do is to get a database prepared for the Joomla site. First you need to get a database dump of your site. Go to your localhost’s phpMyAdmin and select your database. Then press export. Better you check the check boxes which I have marked in orange in the above picture. You may need that when you are importing a dump to a DB where you have data already. You can press the GO button after selecting a file type. Now you’ll get a backup of the database as a file. What you have to do now is to create a database in your live server. In cPanel you can use MySql DataBase Wizard for this. There you can enter the name of the DB, a username and a password. And at last you’ll be asked about the permissions which you must give to the newly created DB user. You can check all the checkboxes there. Now you have created a DB and a user for it. Go to phpMyAdmin in your live server, select your database and go to the import tab. There you can see a browser button. You can locate the db dump you got from your local server and press GO. So now the data will be imported to the database in the live server. Now what you have to do is to configure your joomla site to connect to this database. Go to the place where you uploaded the files and find the configuration.php file. In cPanel File Manager you can use the online editor ( you can see an Edit button on the top). Or you can download the file, edit it and upload again. $host can be kept same as localhost most of the time. And you may change the following ones too. Go go go and see the frontpage! However for components like Virtuemart you may need to do more configuration. And file permissions may affect too. I may discuss those things later. You may have seen so many web sites which can me viewed in several languages. You may also think that it is so difficult to create such a site. But doing such a thing is not much difficult. Presenting your Joomla web site in 3 languages is not a much difficult thing. Joomla can be used with several languages. I used as Trilingual in the title because in Sri Lanka we mainly use 3 languages. So, we are going to use the popular JoomFish component for this. This is a great component which can be used very easily for localization. Let’s first install this component to our Joomla site. Download the latest stable version here. Now in the Joomla Backend (http://localhost/jomdemo/administrator/) go to Extensions>> Install/Uninstal. Now press Browse button and select the downloaded file. After that press upload file and install. Now JoomFish will be installed. Install 3 packages, si-LK.installation.zip, si-LK_joomla_lang_admin.1.5.15v1.zip, si-LK_joomla_lang_site.1.5.15v1.zip similar to the above described way. Install the 2 packages ta-LK_joomla_lang_site.1.5.15.zip, ta-LK_joomla_lang_admin.1.5.15.zip found in the above url. Now language installation has been completed. Components >> JoomFish >> Language Configuration ( http://localhost/jom/administrator/index.php?option=com_joomfish&task=languages.show ) හි active යටතේ සිංහල හා දෙමල භාෂාවන් සඳහා Check Box තුළ හරි ලකුණ සඳහන් කර Save බොත්තම ඔබන්න. Go to Components >> JoomFish >> Language Configuration ( http://localhost/jom/administrator/index.php?option=com_joomfish&task=languages.show ) and check the checkboxes for Sinhala and Tamil under Active, and press Save. Now in the Frontend you’ll see “Sinhala (Sri Lanka)Tamil” with that above stated flag of UK. We can change the site’s language by clicking on these. If you want to show 2 images instead of “Sinhala (Sri Lanka)Tamil”, create two images called si.gif and ta.gif , and place them in the components/com_joomfish/images/flags/ folder inside the folder where we installed Joomla. You won’t see any changes in Articles and Menu Items. We need to translate them manually. For this goto Components >>JomFish >> Translation. In the other ListBox (Content elements:) select Menus. You’ll then see a list of available menu items. දැනට තියෙන menu items list වේවි. Click on the link for the menu item “Home”. So you’ll get a page for translation. There under Name you’ll see a box called Translation. Let’s add “මුල් පිටුව” there. Then check the Published checkbox in the right side and press save. Now go to the frontend and check the main menu. Now similar to the picture above, you’ll see what has happened. Now I’m going to Translate the article “Joomla! Community Portal” into Sinhala. In the similar way described above select Contents in the Content elements: ListBox. Then in the next view click on Joomla! Community Portal article and Translate in the same way described above. Translated the other things in the same way. Good Luck! Tell me what you need me to write about soon…..
Joomla වල Artilces edit කරන්න පහසුකම් මදි කියලා හිතුනාද? Joomla වල එන්නේ Tiny MCE කියන WYSIWYG (What You See Is What You Get) editor එක. මේකෙ ඇත්තටම ටිකක් පහසුකම් මදි තමා. අපි අලුත් Editor එකක් එකතු කරගම්මු. JCE editor එක හොඳ විසඳුමක්. 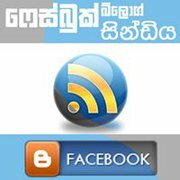 ඉස්සෙල්ලා http://www.joomlacontenteditor.net/downloads/editor මෙතනින් බාගන්කෝ Component එක. ඕකෙ තියෙන JCE Installation Package ගත්තම හරි. දැන් මේක Extensions>> Install/Uninstall හරහා ස්ථාපිත කරගන්න. ඒත් ස්ථාපිත කරගත් පමණින් Editor එකේ වෙනසක් පේන්න ලැබෙන එකක් නැහැ. අපි Default Editor එක වෙනස් කරන්න ඕනි. Site>> Global Configuration වල Site Settings යටතේ තියෙන එකෙන් Editor-JCE කියන එක තෝරලා save කරගන්න. දැන් Article එකක් add කරන්න ගිහින් බලන්න. ඔබ ඕනෑ තරම් දැක ඇති භාෂා කිහිපයකින් නැරඹිය හැකි වෙබ් අඩවි. මෙසේ වෙබ් අඩවියක් සැකසීම බෙහෙවින් අමාරු යැයි ඔබට සිතෙන්නට ඇති. ‍එවන් අඩවියක් සැකසීම එහෙමකටම අමාරු වැඩක් නොවේ. ඔබේ ජූම්ලා වෙබ් අඩවිය භාෂා 3න්ම ඉදිරිපත් කිරීම මහා අමාරු දෙයන් නොවේ. ජූම්ලා සමඟ භාෂා රාශියක් භාවිතා කිරීමේ හැකියාව පවතිනවා. මාතෘකාවේ ත්‍රෛභාෂාවෙන්ම කියලා දැම්මේ ලංකාවේ අපි භාවිතා කරන්නේ ප්‍රධාන වශයෙන් භාෂා 3ක් නිසා. හරි. මේකට අපි පාවිචිචි කරන්නේ, ගොඩක් ප්‍රසිද්ධ JoomFish කියන Component එක. මේක localization සඳහා ඉතා පහසුවෙන් පාවිච්චි කරන්න් පුළුවන් Component එකක්. ඉස්සෙල්ලාම අපි මේ Component එක අපේ ජූම්ලා අඩවියට එක් කරගනිමු. මෙතැනින් JoomFish හි නවතම stable සංස්කරණය බාගත කරගන්න. දැන් Joomla backend එකේ (http://localhost/jomdemo/administrator/) Extensions>> Install/Uninstall වෙතට පිවිසෙන්න. දැන් Browse බොත්තම භාවිතා කර බාගත කර File එක තෝරන්න. පසුව upload file & install බොත්තම ඔබන්න. දැන් JoomFish Component එක ස්ථාපනය වනු ඇති. දැන් මෙනුවේ Component යටතේ JoomFish යන්න දිස් වනු ඇති. මෙහි ඇති si-LK.installation.zip, si-LK_joomla_lang_admin.1.5.15v1.zip, si-LK_joomla_lang_site.1.5.15v1.zip යන ගොනු 3ම ඉහත පරිදිම ස්ථාපනය කරගන්න. මෙහි ඇති ta-LK_joomla_lang_site.1.5.15.zip, ta-LK_joomla_lang_admin.1.5.15.zip යන ගොනු 2 පෙර පරිදි ස්ථාපනය කරගන්න. දැන් භාෂා ඇතුලත් කරලා ඉවරයි. දැන් Front End එකේ එංගලන්ත කොඩියට අමතරව “Sinhala (Sri Lanka)Tamil” ලෙස සටහන් වී ‍තිබෙනු ඇති. මේවා භාෂාවන් මාරු කිරීමට භාවිතා වනවා. Sinhala (Sri Lanka)Tamil ලෙසින් අකුරින් දිස් වනු වෙනුවට අනන්‍ය රූපයක් පෙන්වීමට අවශ්‍ය නම් si.gif හා ta.gif ලෙස ඉමේජ 2ක් ජූම්ලා ඉන්ස්‍‍ටෝල් කළ Folder එක ඇතුලේ ඇති components/com_joomfish/images/flags/ යන Folder එකට දමන්න. මෙම ලින්ක් භාවිතා කිරීමේදී ඇති වන වෙනස නිරීක්ෂණය කරන්න. Articles, Menu items යනාදියේ කිසි වෙනසක් ඔබට දකින්නට නොලැබේවි. ඒවා අප අතින් Translate කළ යුතුය. මේ සඳහා Components >>JomFish >> Translation වෙත යන්න. එහි වම් පස Language සඳහා Translate කළ යුතු භාෂාව ලබා දෙන්න. අපි Sinhala තෝරමු. ඊට එහායින් ඇති ListBox එකේ අපිට Translate කළ හැකි දේවල් දිස්වනු ඇත. දැනට අපි Menus තෝරමු. දැනට තියෙන menu items list වේවි. ඒකෙන් Home කියන නම උඩ click කළාම translate කරන්න පිටුවක් ඒවි. ඒකේ Name යටතේ තියෙන Translation කියන box එකේ අපි මුල් පිටුව කියලා යොදලා දකුණු පස ඇති Pusblished කියන checkbox එකත් Check කරලා Save කරන්න. දැන් Front End එකේදි භාෂාව සිංහල කියලා මාරු කළාම වම්පස Main Menu එක බලන්න. වැඩේ හරි ගිහින් ඇති..
අනිත් ඒවත් translate කරන්න උත්සාහ කරන්න මේ විදියටම. අන්තර්ජාලයේ වෙබ් අඩවි නිර්මාණය සඳහා යොදා ගැනෙන CMS අතරින් ජූම්ලා ගොඩක් ප්‍රසිද්ධයි. මේක Free and Open Source web application එකක්.මේ මඟින් සැකසුණු වෙබ් අඩවි ඕනෑ තරම් අන්තර්ජාලය පිරික්සීමේදී ඔබට සොයාගන්න පුළුවන්. මේ හදිස්සියෙ ලියන්න ගත්තෙ අපේ බොහොම දෙනෙක්ට උදවු කරන්න හිතාගෙන. ඉක්මනින් ලියවෙන්න අවශ්‍ය දේවල් මට කියන්න.